In 1981, Colonel Grigoriev (whose name in real life was Vladimir Vetrov) of the KGB, who was disenchanted with what the Communist ideal had become under Brezhnev, decides he is going to change the world. Discreetly, he makes contact with a French engineer working for Thomson in Moscow and little by little passes on documents to him – mainly concerning the United States – containing information which would constitute the most important Cold War espionage operation known to date. Ronald Reagan, President of the USA at this time, set aside his reluctance to work with a French Socialist to put this unhoped-for information from the very heart of the KGB to use. «Farewell» would in fact decapitate the network which enabled the KGB to gain in-depth knowledge of scientific, industrial and military research in the West. Once the USSR had been deprived of these precious sources of information, Ronald Reagan’s announcement of the new «Star Wars» military programme sounded the death toll of the Soviet Union. The Berlin Wall would fall before the end of the 80s. 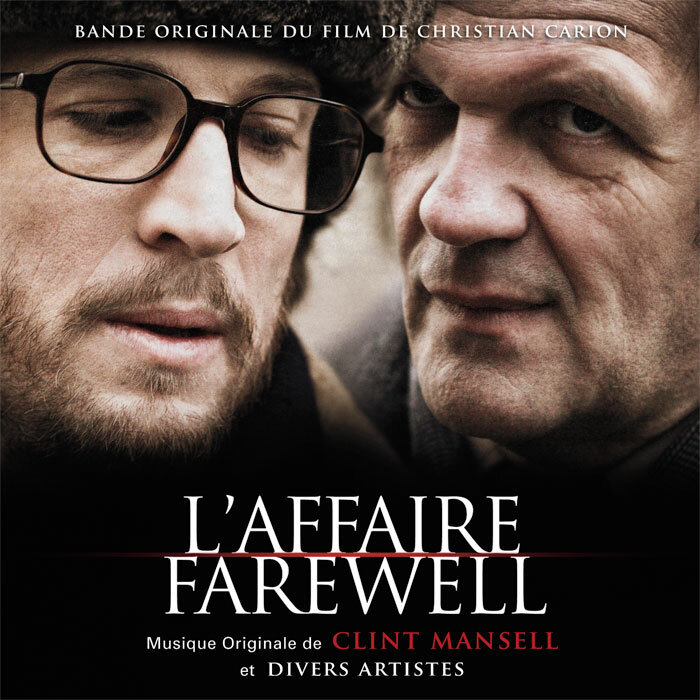 In his own way, «Farewell» managed to change the world, by avoiding traditional espionage methods too well known to the KGB and by not asking for any financial compensation whatsoever – much too capitalist for his taste. He simply followed his destiny, so that a new world might dawn for all his fellow Russians, but especially for his son. Clint Mansell provides a powerful score for this tale. 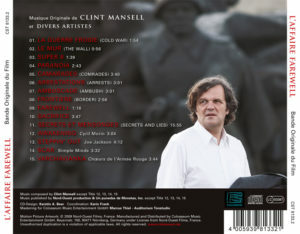 The CD also features the tracks from the movie by by Joe Jackson, Simple Minds, Les choeurs de l’armée rouge and Cyril Morin.